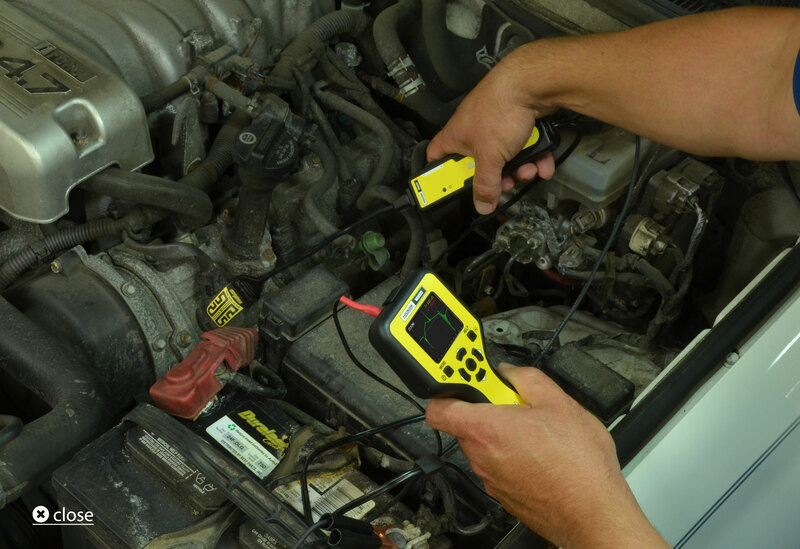 Scope Out Voltage Without the Scope! 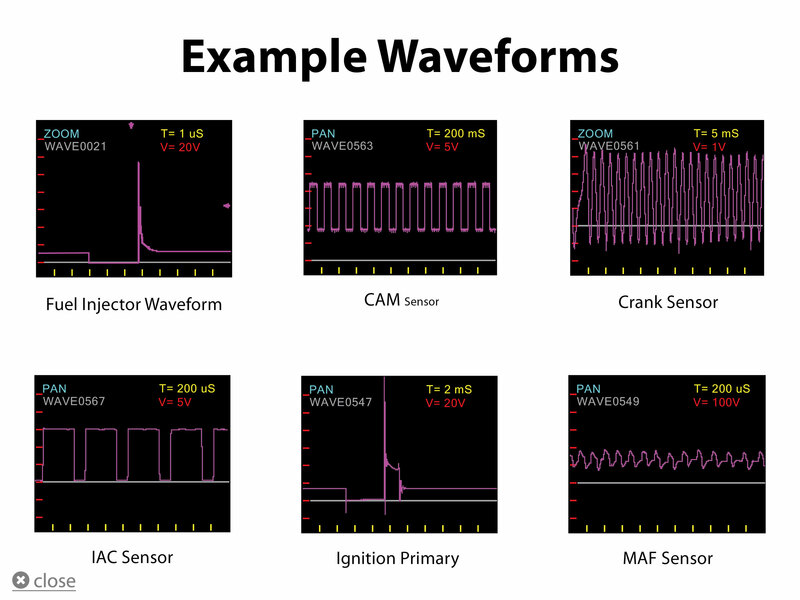 Use Auto Wave to quickly and easily verify that signals and voltages are present in waveform format using a voltage/time scale without the need for a scope and with more detail than a DVOM.View signals on ignition primary, fuel injectors, MAF, O2, TPS, crank and cam, PWM components and much more. 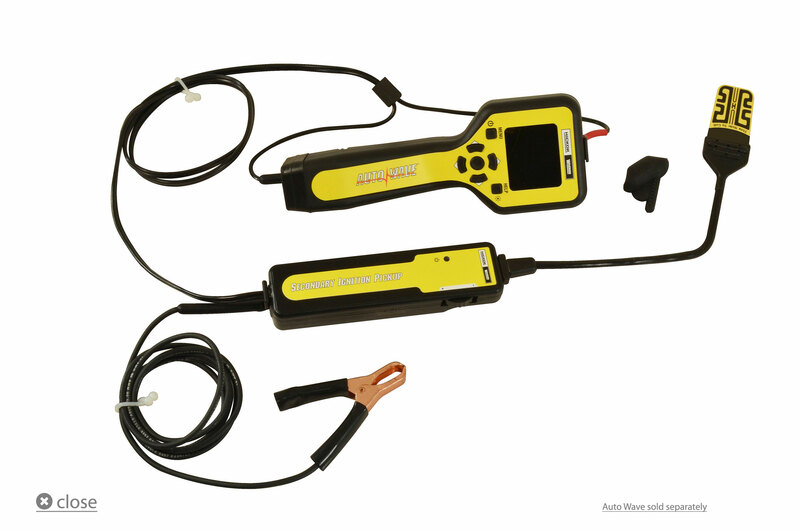 When used with the Secondary Ignition Pickup (SIP) you can also view detailed secondary ignition waveforms on spark plus wires and COP ignition systems. Think of it as your window into the combustion chamber. Auto Set Feature — Automatically sets time and voltage scale adjustment for the viewed signal or voltage. Zoom and Pan — Adjust the view of the signal for a more detailed wave form. 4 GB Micro SD Card — Save waveform snapshots for later review on the tool or a PC. Accurate Readings — Sample rate up to one million samples / second. 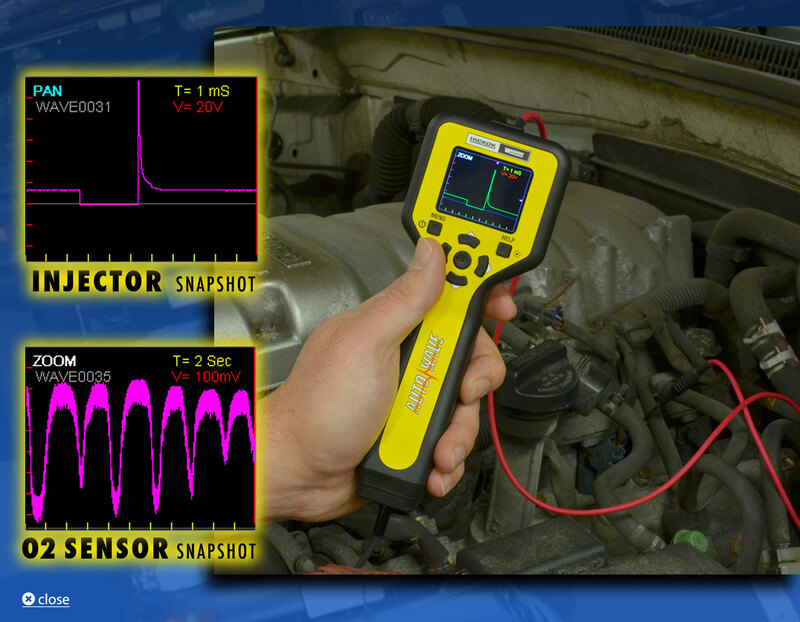 Color LCD Display — Easy viewing of the waveform time and voltage scale. See Auto Wave in action. Not Familiar with a Lab Scope? 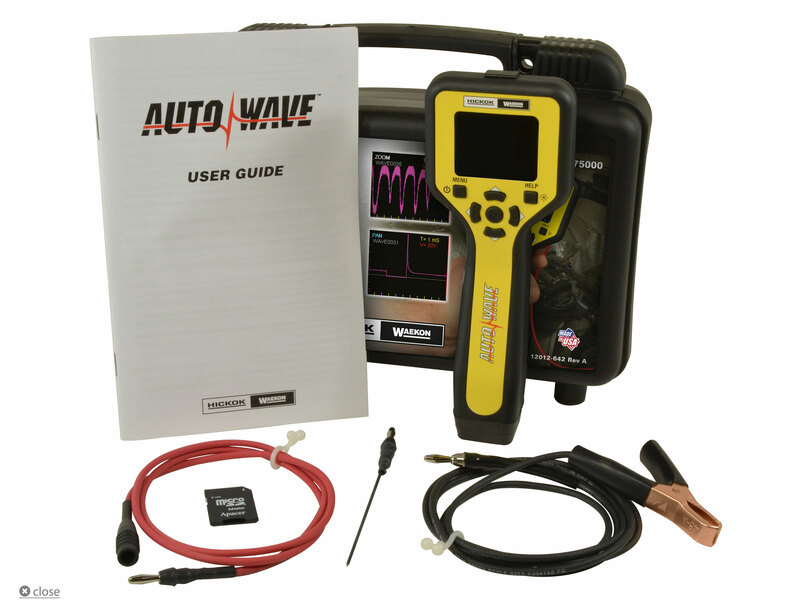 This Reviewer Thinks Auto Wave is the Tool for You. "I love the Auto Wave tool, especially for people who are not familiar with a lab scope, because it's self-adjusting. 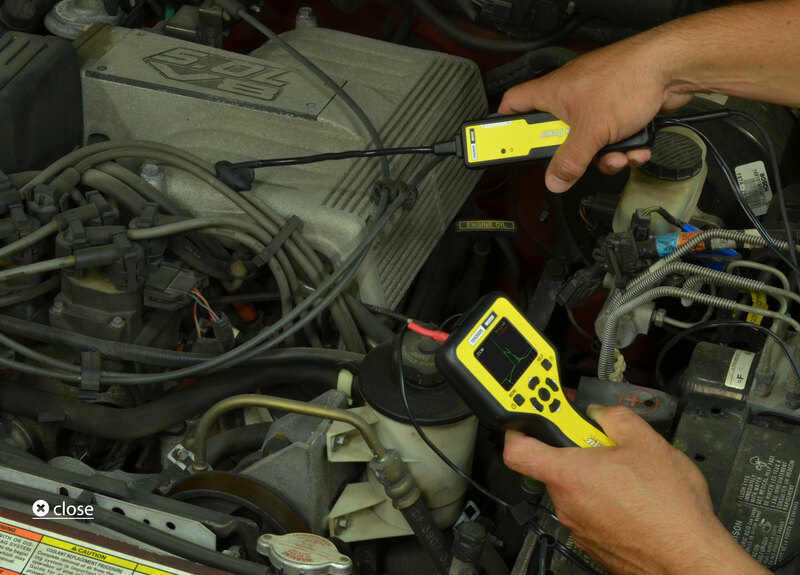 The secondary Ignition Pickup just adds more value to it because it allows you to do a different type of test than the standalone tool gives you." 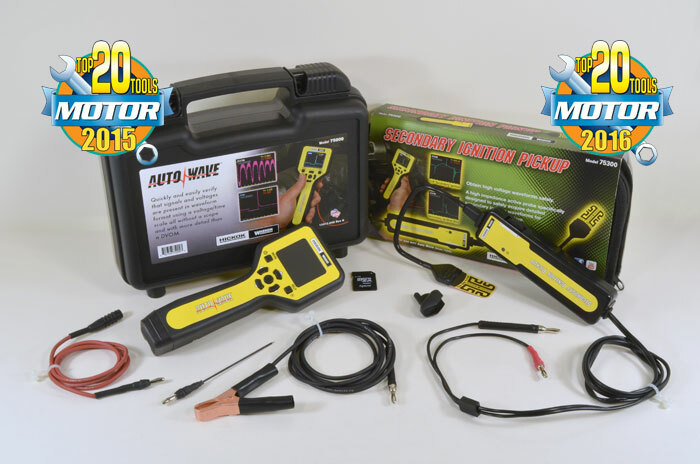 Reviewer Says the Secondary Ignition Pickup (SIP) is a "Great Addition to the Auto Wave"
"The Secondary Ignition Pickup allows you to look at the spark plug, the ignition coil, and ...it can show you how well the fuel is combusting in the cylinder. You can look at that all very easily with a quick hook-up, and look at an individaul cylinder." "I use secondary waveforms a lot, but typically I use a lab scope, which takes a little bit more time to hookup. 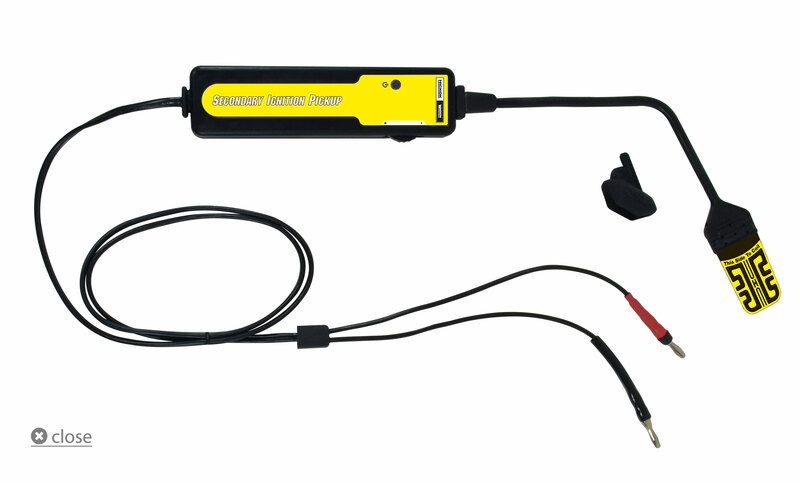 The benefit of this is a quick easy way of getting a waveform for the suspect cylinder." "I think (the Secondary Ignition Pickup) is a great addition to the Auto Wave."